Our greatest competitive advantage is our technology for manufacturing and stabilizing nitrifying bacteria. 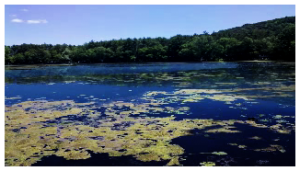 wastewater treatment plants (WWTPs), ponds, and in the control of excessive algae growth. Nitrifying bacteria consume Nh3, No2, and also consume large amount of Phosphate (Po4). These nutrients are also items that algae consume very rapidly. 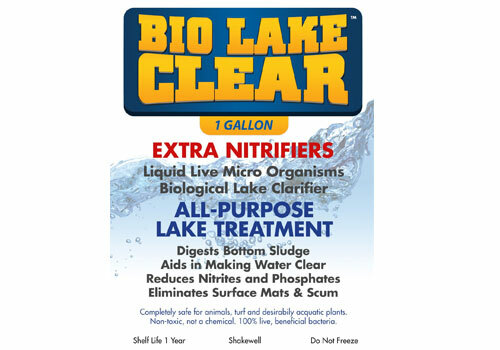 Because nitrifying bacteria closely resemble algae in their nutritional requirements, the addition of large numbers of active nitrifying bacteria into ponds constitutes an effective algae reduction program. Nitrification is the SEQUENTIAL aerobic, bacterial conversion of ammonia (NH3) to nitrite (NO2) and then to nitrate (No3). One broad class of nitrifying bacteria converts NH3 into NO2. Another broad class of nitrifiers converts NO2 intoNo3. Nitrosomonas, which converts NH3 to NO2 (ammonia to nitrite), and Nitrobacter, which converts No2 to NO3(nitrite to nitrate). As mentioned previously, the nitrifying power of OES products is independently recognized as world class. NITRIFYING BACTERIA ARE NOTORIOUS FOR GROWING SLOWLY. In WWTPs, if nitrification is lost, it often takes months before nitrification is re-established. This is largely because nitrifiers are purely aerobic bacteria, and require dissolved oxygen for growth. Therefore, nitrifying bacteria do not thrive in the collection system that flows to the wastewater plants. Therefore, natural re-establishment of nitrification in WWTPs is often a major challenge for superintendents. In aquaculture systems, particularly intensive aquaculture, where high fish density prevails, water changes are performed when ammonia levels become high (because naturally occurring nitrifying bacteria do not grow fast enough to consume all of the ammonia produced). In the aquarium hobby, fish are not added to tanks until the system has had nearly a month to develop its own population of nitrifying bacteria. A unique solution isoffered by our nitrification product, StartSmart. 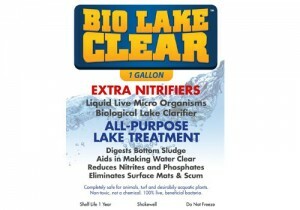 Other companies offer nitrifying products thatclaim to assist in lowering ammonia levels in days rather than weeks. In contrast, ourtartSmart product completely removes ammonia and nitrite from aquaculture systems in just one day. This result is unprecedented in the industry. And this results has been independently verified by the testing staff of the largest aquarium magazine in the world, Aquarium Fish International. The professional testing personnel of this prestigious magazine set up an evaluation with identical, high fish concentration loads, in test and control tanks. The test tank received the standard dose of StartSmart (the aquaculture version of LLMO GC), while the control tank did not. The control tank immediately showed ammonia concentration that reached lethal levels in 48 hours, with 100% fish mortality. The test tank showed zero ammonia increase, zero nitrite increase, and had zero fish mortality. With our exceptional nitrification technology, which allows us to grow nitrifying bacteria to the highest concentration, and keep them stable for use for 2years, we are able to add huge numbers of completely non-toxic, live, actively nitrifying bacteria to WWTPs and ponds. The nitrifying bacteria compete with algae for N and P nutrients, thus minimizing excess algae blooms.